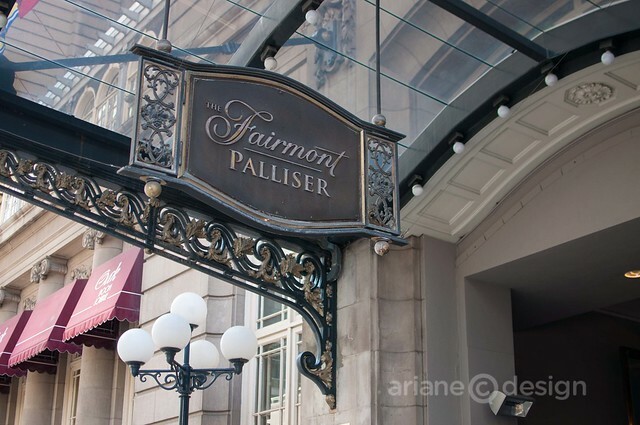 The Fairmont Palliser is an iconic hotel in Calgary’s downtown, an elegant dame that will celebrate her centennial in two short years (on June 1, 2014). A special series of events in the works to commemorate this milestone occasion. 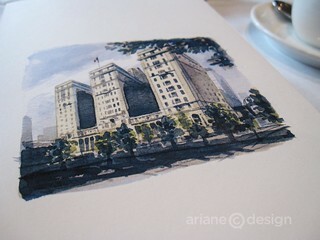 The Edwardian Commercial style hotel is named after Captain John Palliser, who explored the area in the 1850’s. When the Canadian Pacific Railway was pushed out west in the late 1800’s, an influx of tourists headed towards Banff Springs. 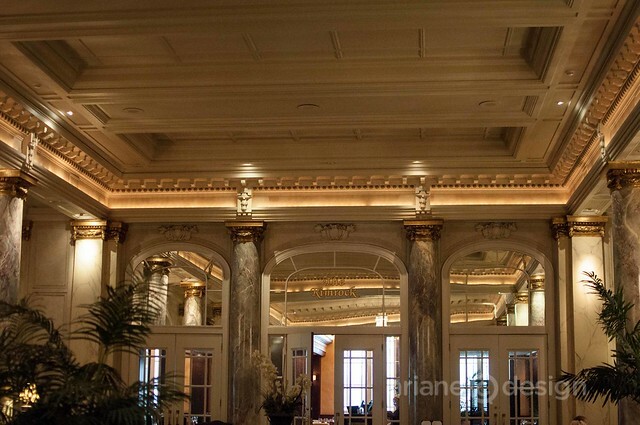 William Van Horne, the CPR’s General Manager declared, “If we can’t export the scenery, we’ll import the tourists.” And so began construction of the Palliser, one of Calgary’s finest hotels. 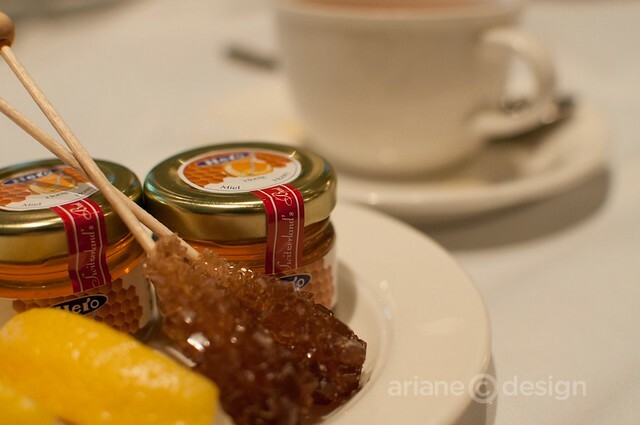 I was joined by the Palliser’s Communications Manager, Jessica Reynolds, for afternoon tea in the Oak Room. The deep, cozy chairs of the Oak prepared us for a relaxing couple of hours enjoying the menu with our chosen teas. To top it off, we had a prime view of one of the lounge’s two tv screens, showing the 2010 London Olympic opening ceremony. 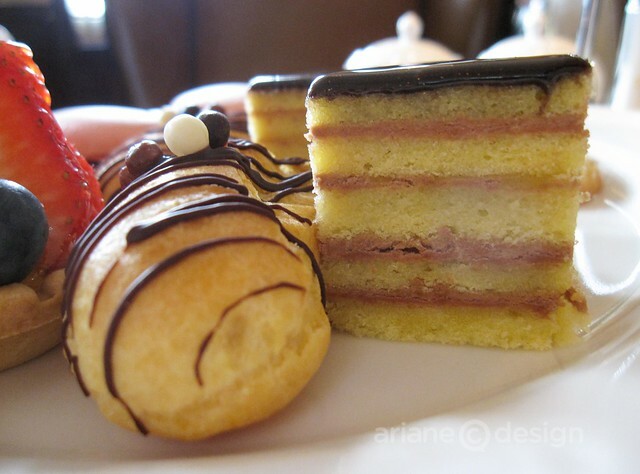 Afternoon tea at the Palliser has become so popular that there’s now several seatings daily. 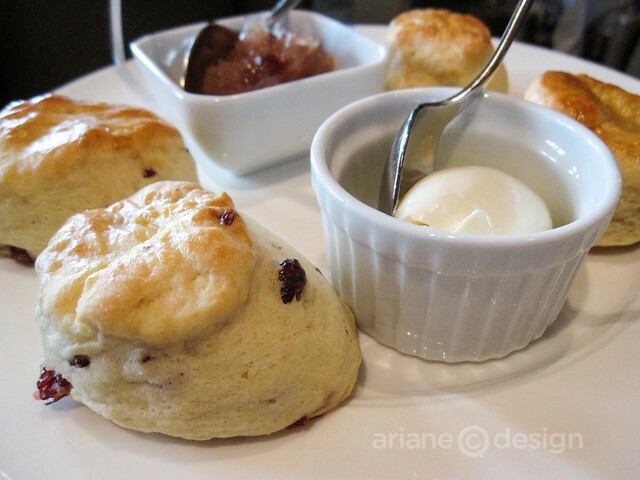 Dainty pastries, tea sandwiches, and traditional scones are served with both house made jam and Devonshire clotted cream. The teas range from Earl Grey to fanciful Montebello Apple Spice and Willow Stream Spa blend (a caffeine-free alternative). 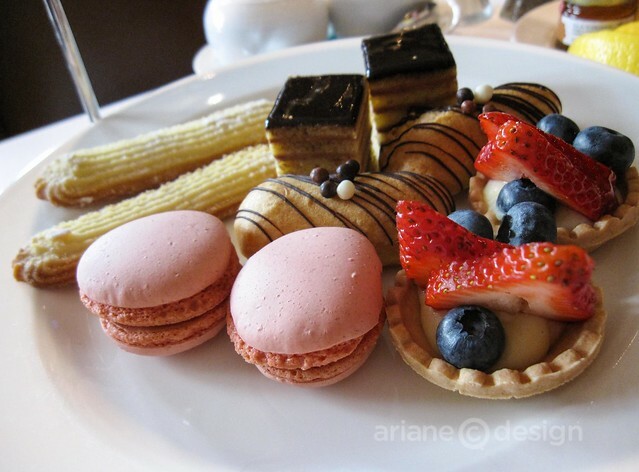 We started with a fresh fruit cocktail in Grand Marnier syrup, followed by a tower of scones, sandwiches, and colourful pastries, including macarons filled with raspberry jam, divine! 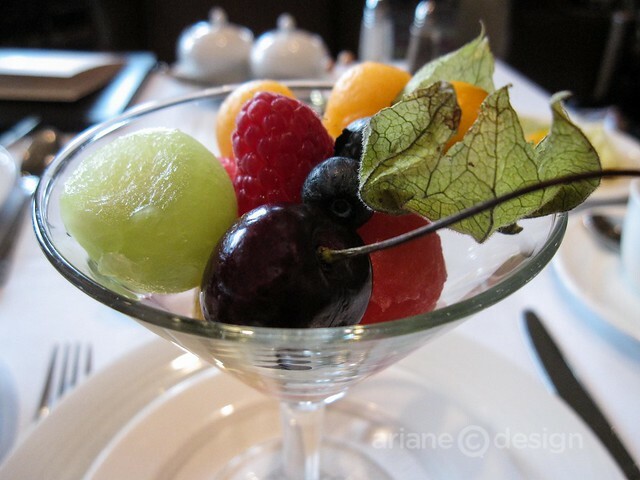 An optional glass of bubbly can be ordered; the current selection includes Vineland Brut (Okanagan Valley, $12), Nino Franco Prosecco (Italy, $12), or Moët & Chandon Imperial Brut (France, $19). 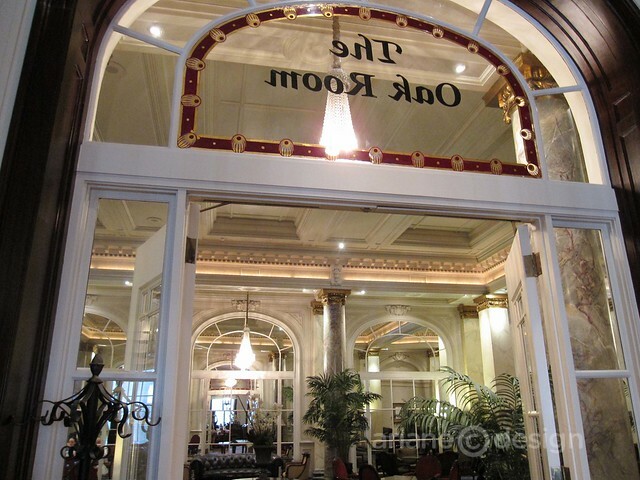 The experience is heightened by the beautiful interior containing chandeliers and large picture windows. 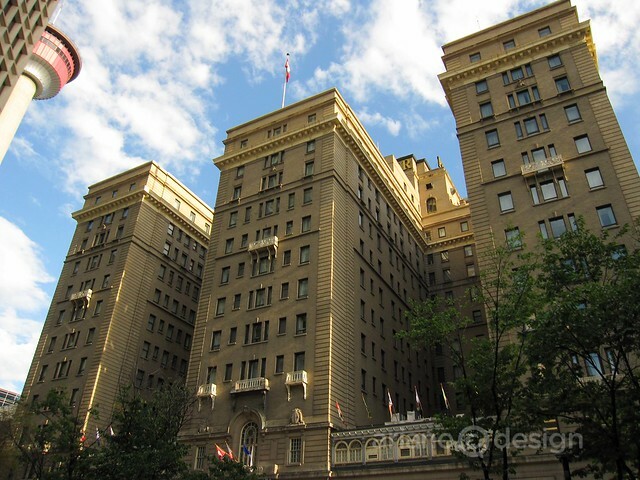 The Fairmont Palliser is located at 133 9th Avenue SW in Calgary. 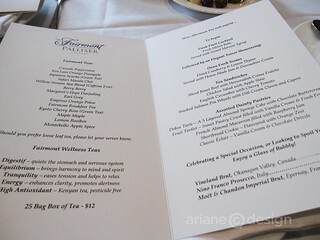 My afternoon tea was courtesy of the Fairmont Palliser. Opinions, as always, are my own.